The weather is getting colder, the days are getting darker and soon there will be frosty and snowy roads. 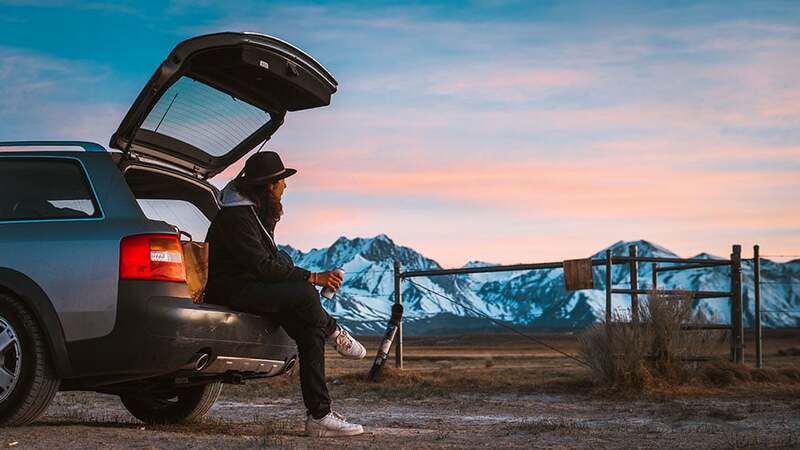 There are many things you can do to prepare your car for Winter, so here’s our list of what we recommend. A serviced car is a safer car. You should have your car serviced every 12 months, or 12,000 miles – whichever comes first. A full service will check things such as your engine, fuel, electrics, exhaust, steering & suspension, brakes, tyres and more. This doesn’t mean you don’t have to keep up with the care of the car, but it’s a good starting point. Batteries suffer a lot in the Winter months. Not only do they have to deal with the cold temperatures, but they are also under more stress due to increased use of lights, windscreen heater and blowers. 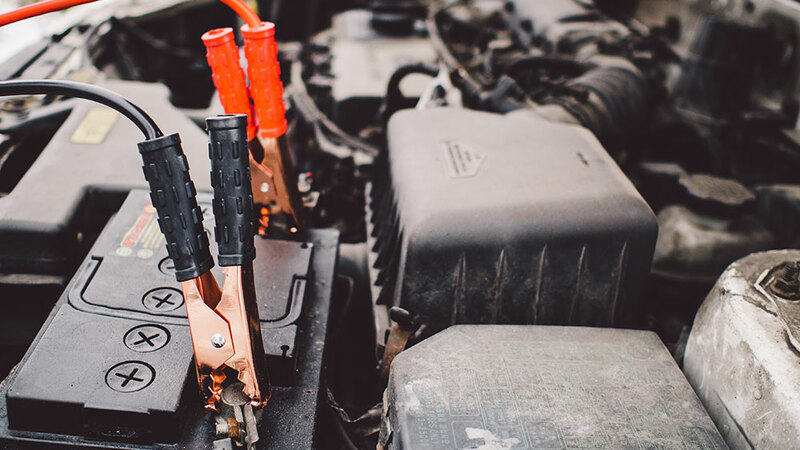 Car batteries tend to have a life of around 5 years or so. If your battery is around this age and you are starting to have problems with it, we recommend you have it checked or replace if necessary. Using anti-freeze prevents the water from freezing in your engine’s cooling system and should be replaced every few years. Don’t remember when you last did it? Then now is a perfect time! Simply flush the cooling system and then top it up with new anti-freeze. We recommend using a 50-50 mix of water and anti-freeze over the Winter. If you don’t know how to do this, a garage will be able to help you for a small charge. 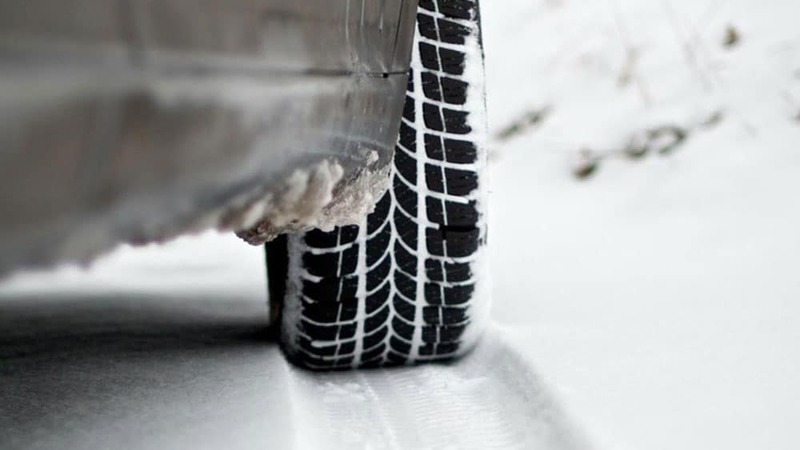 Checking your tyres should be one of the most important things you do when you prepare your car for Winter. Check your tyres all over for things such as wear and tear, splitting and bulging and most importantly, the tread depth. It is recommended to have a 3mm tread to assist your tyres with traction and to help grip in the Winter. Also, make sure that the pressure in your car’s tyres is correct – you can find this in your owners manual. 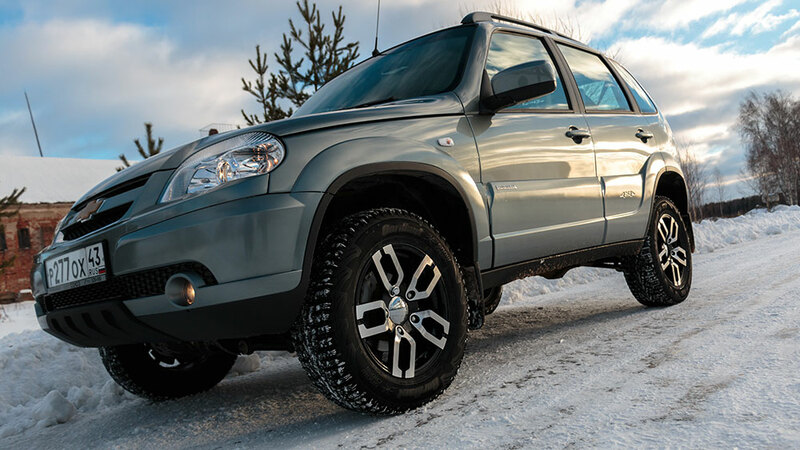 Consider changing over to Winter tyres as these have a higher silicone content which stops them from hardening as much in cold temperatures, therefore helping you to grip the road better. All 3 of these things are vitally important for yours and others safety. Having worn pads and/or discs and no brake fluid can mean your stopping distance is greatly reduced and could be the difference between having an accident and not. Using a product such as Transyl oil can help assist with any metal parts of your car that require lubrication to help keep everything ticking over. Make sure to check all of your light bulbs and check for any cracks in the outer plastic. Having a white light bulb shining through a broken light in the dark can be very confusing! 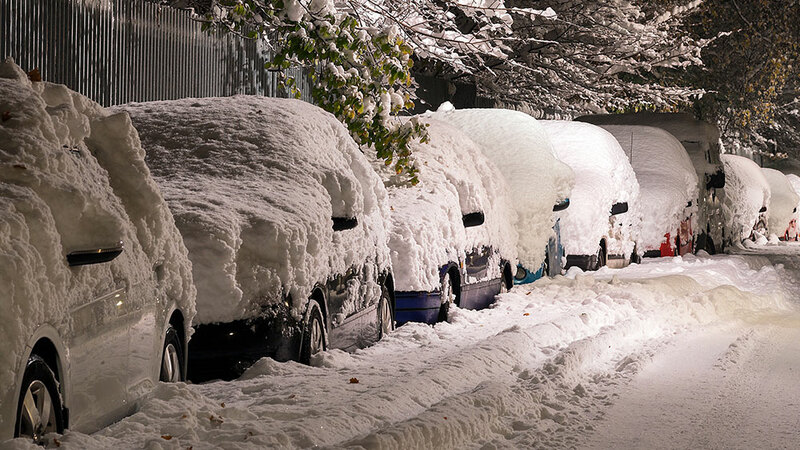 Replace anything that is not working and be sure to keep them clean and free of snow. There is no point in replacing your light bulbs if no one can see them! 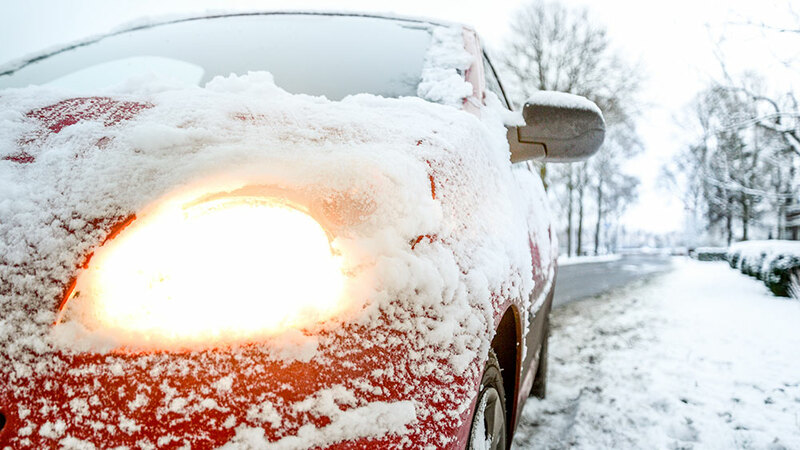 To allow for the best visibility you should clear ice, snow and dirt from your windscreen before setting off. Make sure you clear snow from your roof with a soft broom. Snow can fall down while you are driving and you don’t want that! Do not make the common mistake of using boiling water to clear your windows as this can crack it! Instead, use a plastic scraper and keep it inside your car ready to be used again later. To prepare your car for Winter, be sure to check your windscreen for chips or cracks that need fixing before the freezing weather comes. Most chips can be fixed quickly and cheaply – if not free! Wiper blades should be replaced yearly / when they start making noises or leave smears on the glass. Your wiper blades work very hard over Winter, so be sure to keep them clean and intact so they can work best and keep your view clear. In the Winter, we recommend not travelling with less than 1/4 tank of gas and to perhaps carry a fuel can in the trunk – just in case! Hopefully, if you have warm spare clothing in your breakdown kit it’ll make the commute to the gas station a little easier. Driving in the Winter can throw all sorts of weather conditions at you and you will need to adjust your driving to compensate for it. Driving in the snow, heavy rain, strong winds, fog or even low sun can easily cause you and other road users problems if you are not prepared for it. Think about your stopping distances, don’t take risks – check, check and check again, take it slow and be cautious of other users – they can be unpredictable! 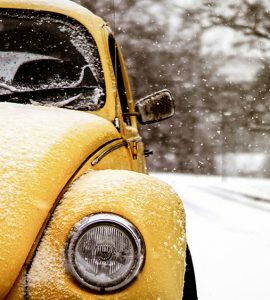 So, that’s a list of what we recommend you do to prepare your car for Winter! If you can think of anything else noteworthy, please feel free to comment below and share!